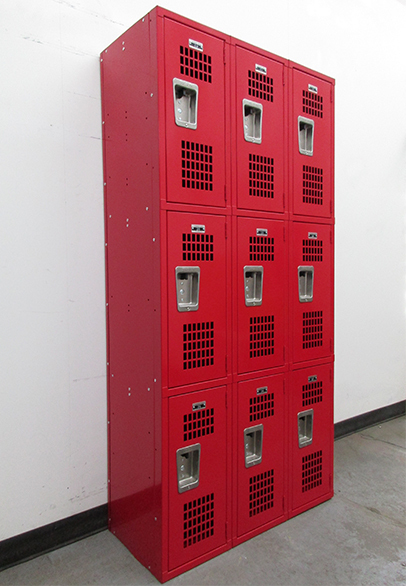 These Metal Box Locker are available on www.buyusedlockers.com where they have a huge selection to choose from if we need additional supplies. These metal box lockers are in very good overall condition and 100% functional. Each compartment measures 12" wide x 15" deep x 12" high and is the perfect size for the storage of small personal items. Each compartment can be locked with a common padlock to offer secure storage. They can be used at home, work, or school to store and organize anything of value. They ship assembled saving you time and money.